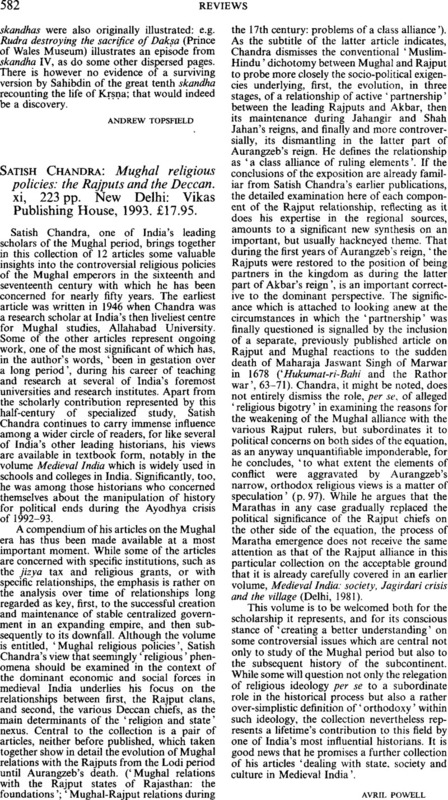 Satish Chandra: Mughal religious policies: the Rajputs and the Deccan. xi, 223 pp. New Delhi: Vikas Publishing House, 1993. £17.95.